Since Caktus’ founding in 2007, we have dedicated ourselves to growing sharp web apps the right way. The tenets of our Success Model drive us to focus on strategic partnerships, prioritize the most valuable features, develop for scalability, and recruit a sharp team. We’re pleased and honored that this focus on doing things right has been recognized by leading review website Clutch. 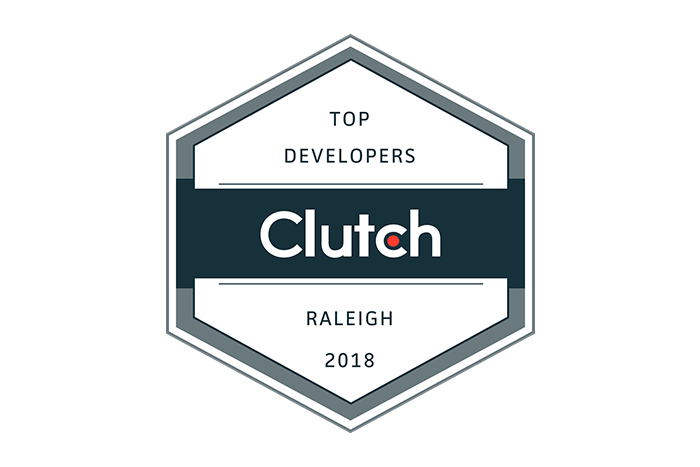 In their most recent research into the top development and IT consulting firms, Clutch named Caktus number one for web development and number two for app development in the Raleigh area. As long-time Triangle residents, we’re proud that our locally-grown Django and Python apps have gained such recognition. We also congratulate our team; our strength comes from the many skilled people we have pulling together to make each project a success. Of course, those familiar with Caktus will know that building custom websites and apps is just part of the picture here. We care about being responsible members of the tech community, giving back to local charities and meetups. Our hope is that by doing our part, we can contribute to the Triangle’s continued expansion as a great place to live and a magnet for top talent - a benefit to everyone. We look forward to growing more sharp web apps and continuing our practice of doing things right. Get in touch to speak to our team about your web development project, product discovery or consulting needs, and team augmentation. We've Won Two W3 Awards for Creative Excellence on the Web!